Hello, it's 3D Wednesday at My Creative Time! 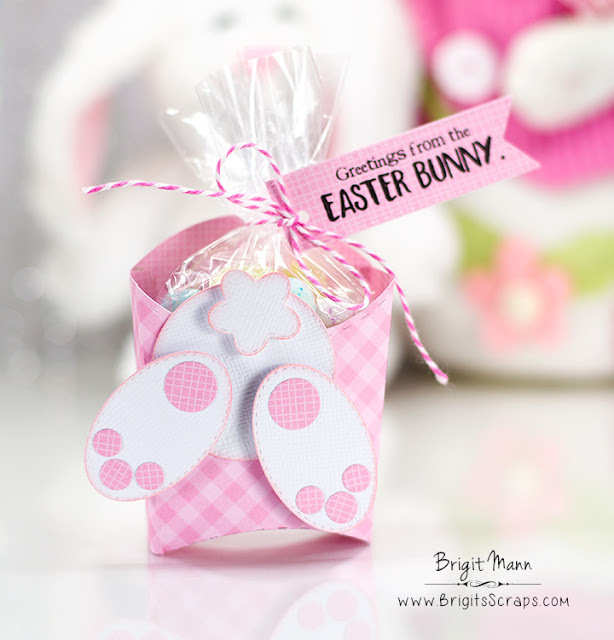 Here's a cute project using the Treat Holder Die. I also used the Bunch of Fun Circles, Scalloped Stitched Oval, You Are Spot On and Stitched Pretty Flowers dies. For the sentiment I used Ears To You and Sentiment Label die. Paper is from Doodlebug Design. OMG Miss Brigit Your Treat Pouch is totally Funtabulous.....I'm in awe of your bunny idea...OMG girl your clever & creative idea is Spectacular.....It melted my heart with you bunny peaking into the treat....I so can't wait to make this....thanks for sharing you amazing recipe definitely great creative ways you used Miss Emma's goodies. Girl you so outdid yourself and it is a Super Outstanding Creative Job. What a cute idea! Thanks. Another clever idea! Love it!!! Love your adorable bunny treat holder.